Should Waste Food be Fed to Pigs? The need to reduce the environmental footprint of current systems of meat production is increasing. Strategies must be found to reduce the environmental impact of livestock products as their demand grows, according to new research from Cambridge University in the UK. 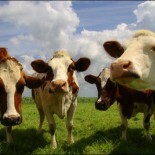 One strategy is the promotion of low-impact animal diets, the research team of Erasmus K.H.J. zu Ermgassen, Ben Phalan, Rhys E. Green and Andrew Balmford say in their report Reducing the land use of EU pork production: where there’s swill, there’s a way. The research team says that food waste, when heat-treated appropriately, as in the centralised food waste recycling systems of Japan and South Korea, can be a safe, nutritious form of animal feed. The study quantifies the potential for swill to reduce the land use of EU pork production. While swill feeding is not a substitute for efforts to reduce food waste, our results suggest that changing EU legislation to promote the use of food waste as swill could substantially reduce the land use impacts of EU pork production,” the researchers say. “These environmental benefits can be achieved while improving the profitability of many farming businesses and delivering high quality pork products. The Cambridge research report that is published in the journal Science Direct, reflects campaigns launched over the last year by food waste campaigner Tristram Stuart and celebrity chef and restaurateur Thomasina Miers and backed by TV chef Hugh Fernley Whittingstall – The Pig Idea. The Pig Idea, took place in November last year in London’s Trafalgar Square. Seven of London’s best restaurants served over 5,000 portions of free food, using pork that had been reared on a diet of food that would otherwise have been wasted. The campaign to feed food that goes for waste and is used in either land fill or anaerobic digesters has been stepped up over the year and is gathering pace. According to Tristram Stuart: “The UK, US and Europe have nearly twice as much food as is required by the nutritional needs of their populations. The new report from Cambridge University says shows that livestock production occupies approximately 75 per cent of agricultural land, consumes 35 per cent of the world’s grain, and produces 14.5 per cent of anthropogenic greenhouse gas emissions. A total of 21.5 million tonnes of pork, around 34kg of pork per person, are produced in the EU each year. With demand for meat and dairy products forecast to increase 60 per cent by 2050, the research team says there is a pressing need to reduce the footprint of livestock farming. Food waste have a long history as a source of environmentally benign animal feed, but their inclusion in feed is currently banned in the EU because of disease control concerns. However, a number of East Asian countries have in the last 20 years introduced regulated, centralised systems for safely recycling food waste into animal feed. The study shows that land use savings could be realised by changing EU legislation to promote the use of food waste as animal feed. “Our results suggest that the application of existing technologies could reduce the land use of EU pork (20 per cent of world production) by one fifth, potentially saving 1.8 million hectares of agricultural land,” the research team says. Most of the objection to swill feeding in the EU stems from concerns about safety, and the feeling that feeding human food waste to pigs is unnatural. However, the lead researcher Erasmus zu Ermgassen said that these concerns are largely based on incorrect assumptions. “Pigs are omnivorous animals; in the wild they would eat anything they could forage for, from vegetable matter to other animal carcases, and they have been fed food waste since they were domesticated by humans 10,000 years ago,” he said. 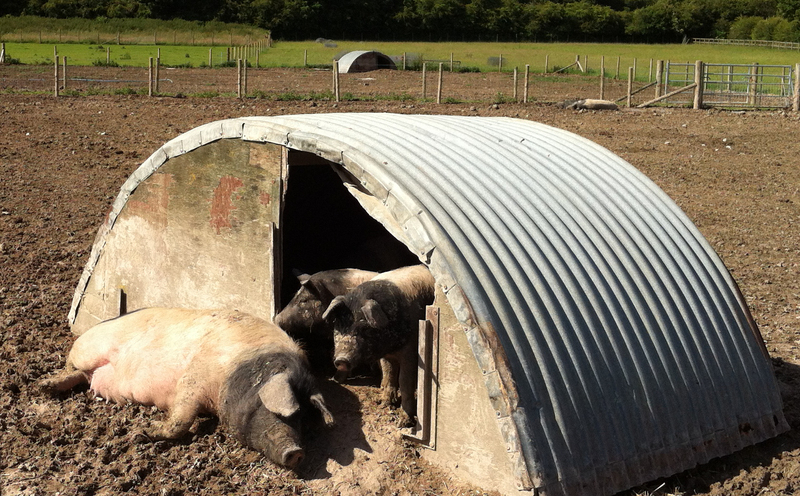 “Swill actually provides a more traditional diet for pigs than the grain-based feed currently used in modern EU systems. “A recent survey found that 25 per cent of smallholder farmers in the UK admit to illegally feeding uncooked food waste to their pigs, so the fact is that the current ban is not particularly safe from a disease-outbreak perspective. Feeding uncooked food waste is dangerous because pigs can catch diseases from raw meat, but a system supporting the regulated use of heat-treated swill does not have the same risks,” he said. Dr zu Ermgassen said that economic and environmental concern is driving a reassessment of EU animal feed bans that were put in place in the 2000s because of concerns over the potential to spread foot and mouth disease, as well as attempts to recycle food waste more effectively. The EU is currently looking into repealing bans on using waste pig and poultry products as fish feed and reintroducing insects as pig and poultry feed. “The reintroduction of swill feeding in the EU would require backing from pig producers, the public, and policy makers, but it has substantial potential to improve the environmental and economic sustainability of EU pork production. It is time to reassess whether the EU’s blanket ban on the use of food waste as feed is the right thing for the pig industry,” he said. This entry was posted on December 10, 2015 by agedchrisharris in Pigs and tagged carbon footprint, environmental impact, food waste, pigs, swill.